Crowdtap, the leader in consumer-brand collaboration, has published a new report that focuses on the evolution toward collaborative marketing, revealing how marketers can build advocacy and drive purchasing behaviors by marketing with their consumers. While two-way dialogue and conversation have been popular topics over the past five years, most social marketing still resembles conventional marketing with the broadcast of messages coming direct from brand or agency. 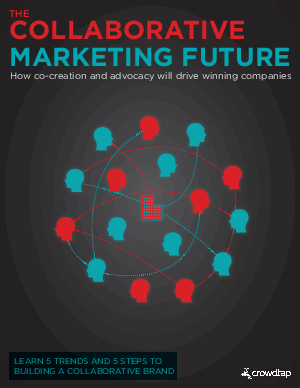 Collaborative Marketing will mean that the current barriers between companies and their consumers will be removed, permitting consumers to influence and take co-ownership of brands. Successful brands will create and improve their products and messaging continually, side by side with their consumers. The brands that do this best will have eager and active advocates championing their products.